Learn more about Toblerone (Kraft Foods) at Snackabase.com! At last we have done a pimp that no one else has submitted, first we were going to pimp a Lion Bar, but then on checking the site on 20th April, not one but two Lion Bars!!! So back to the drawing board, what could we do.... And then it came to us, and After Eight Mint, then two days into the planning, ahhhhhhhh. So we then had a crisis meeting, what could we do........ it came to us, a TOBLERONE. First things first, how do we get the triangular shape, luckily that evening we were having profiterole's and they came in a triangular box, perfect for the pimp. First stage is to line the box with silver foil, and shape a mould, making the sides to hold the chocolate. 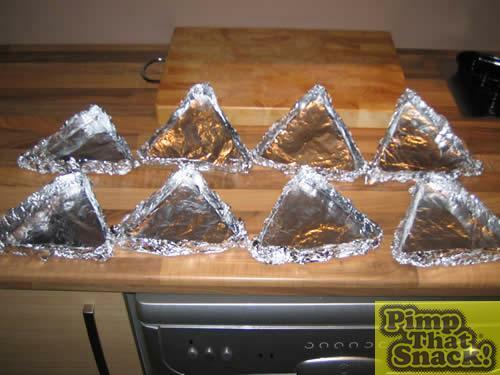 We then made a base mould for all the triangles to sit on, out of foil. 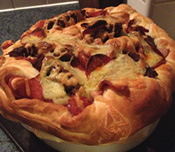 Each triangle takes 200g of chocolate and the base is 300g. 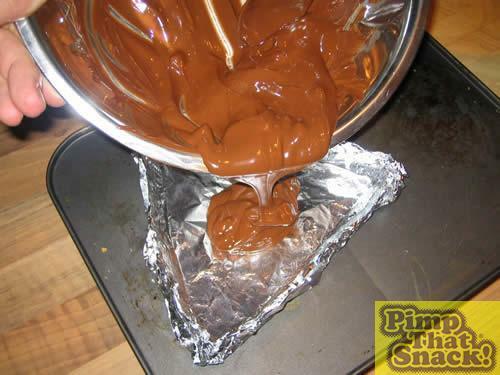 Melt the chocolate using your favourite method. 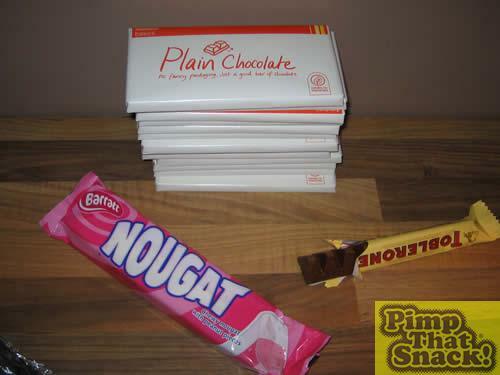 Once melted add in the nougat, now for this pimp we had to use white and pink, so this pimp is a little girly!! (for Georgie and Clare). 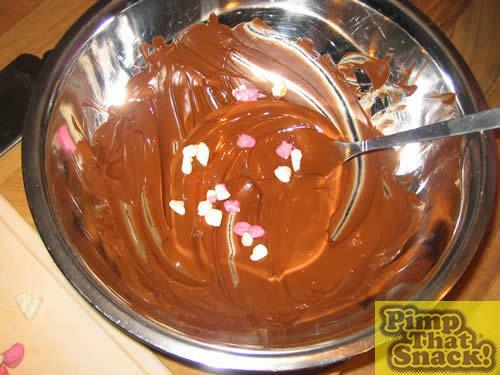 Now pour the mixture into your triangle mould and chill, do this for all your triangular moulds.